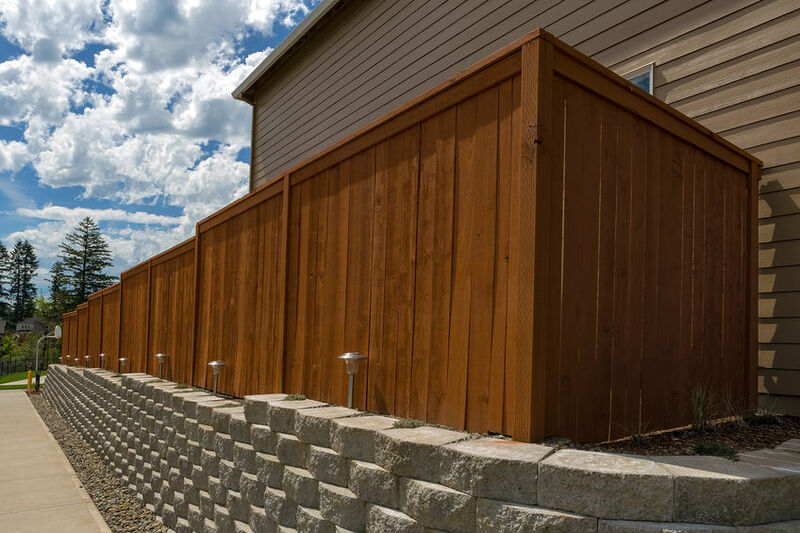 Wood fencing serves many purposes – not only will it keep uninvited guests and pests out, but it also provides your home with a bit of visual appeal. Wooden fences are fairly inexpensive when compared to other fencing options, and if you care for it properly, it will also be long-lasting. Most wooden fences are redwood, maybe cedar. The reason for this is that they are rot-resistant. Though, many homeowners don’t do that much research before they choose the timber and install their fence. You should consider the wood before you choose to install a fence, as well as what design is right for you. You should ensure that your posts are pressure-treated. This will help protect them from rot, pests, and the moisture in the ground. You should cap your posts with metal or cut them at an angle to prevent rot. You shouldn’t place sprinklers or plants too close to your fences either. You should seal or paint your fence as well to provide it with extra protection. Regardless of which wood you prefer, let’s take a look at how you can care for that wood fence of yours. If you look after your fence it can last as long as 15 years. Within a year, a wooden fence can dry out and warp. After five years, it could start to lean. Before you get into maintaining your new fence, let’s discuss how you can improve a fence that is already in place. Whether you have moved into a new home and the fence is weathered or you let yours go. First things first, get yourself a power washer to clean your fence, you can then clean it again using a brightener. Use a bristle brush to work it in and then rinse it down with water. Once the wood has dried, you can apply a stain or protective finish. Your fence should be like new and you can maintain it by following this process every couple of years. Staining your fence will provide your fence with an effective barrier against moisture, which means it will lengthen the lifespan of your fence. How often you reapply the stain (preferably a petroleum-based one) is dependent on your climate. The more often it rains, the more likely you will need to reapply it. Use automotive grease to grease hinges and locks on your fence, you can apply it with a brush. It’s important to maintain your yard because debris and leaves can cause your fence to rot. You should use a pressure washer to clean your fence regularly. If you don’t have a pressure washer or access to one, you can also carry out the clean with a broom. While you clean your fence you should inspect it for any signs of damage. If you spot any damage to your fence you should deal with it immediately. You should clean and brighten your fence every two years. You can lengthen or shorten this period of time depending on the weather.